Shavon Brown earned a Bachelor of Science degree in English education from East Carolina University. She earned National Board Certification in 2010. She was recognized as Teacher of the Year for the 2016-2017 school year. She has served as a member of the Digital Conversion Team providing technology training to other teachers. She has also served as the English department chair and the secretary of the School Improvement Team. She has been actively involved in extra-curricular activities including yearbook, National Honor Society, and prom committee. Shavon taught English at Tarboro High School during her first year of the NCLA program. She was a Principal Resident at G. W. Carver Elementary. 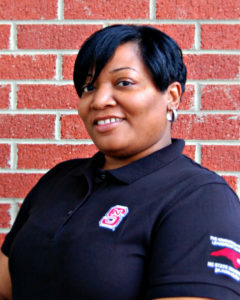 Shavon is now an Assistant Principal at Southwest Edgecombe High School. 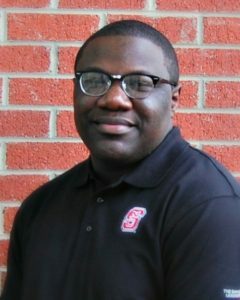 Byron, a North Carolina Teaching Fellow, earned a Bachelor of Science in Secondary English Education at East Carolina University. He taught English I and English II at Edgecombe Early College High School prior to becoming a NCLA Fellow. Byron was also a co-leader of the school’s PBIS committee and member of the School Improvement Team. He completed the Principal Residency at W. A. Pattillo Middle School. Byron is currently serving as Assistant Principal at Darden Middle School. Leaundra Clay graduated with Honors from Hampton University where she received a Bachelors of Science in Criminal Justice. While attending Hampton, she was a member of Golden Key International Honor Society, treasurer of Phi Alpha Delta Honor Society, and vice president of Alpha Phi Sigma Honor Society. During her undergraduate years, Leaundra spent time interning at Hampton Regional Roads Jail and the Hampton Sheriff’s Department. 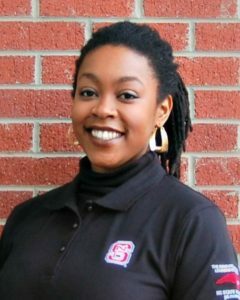 In 2014, Leaundra joined Teach For America in Eastern North Carolina where she served as the region’s social studies liaison. Over the past 3 years, Leaundra has taught 6th & 7th grade social studies at Warsaw Middle School. Leaundra was the PBIS chair, the social studies department chair, and culinary arts instructor. It is Leaundra’s lifelong goal to provide a superior education in order to deter incarceration among our youth. She completed her Principal Residency at Kenansville Elementary School. Leaundra is currently an Assistant Principal at Wallace Elementary School, a Kindergarten through 8th grade school. Jamilah earned a Bachelor of Arts degree in Liberal Studies from Bethune-Cookman University. 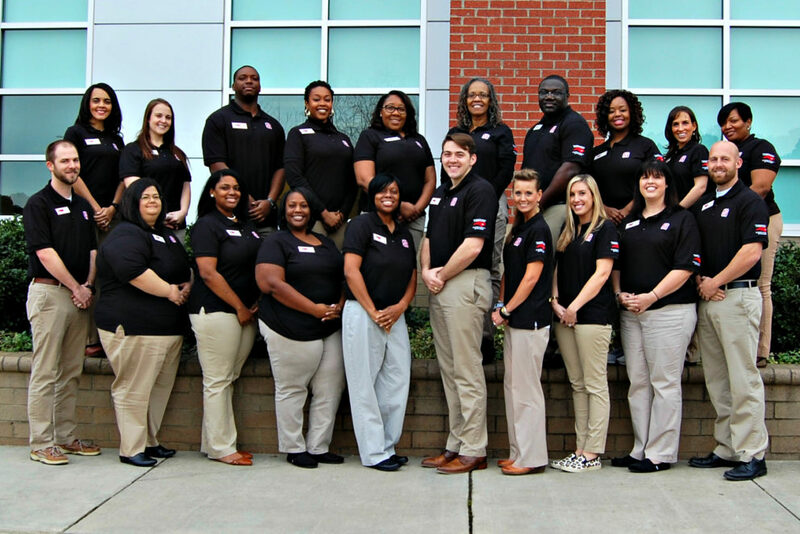 She was a 2014 Teach for America Corps Member in Eastern North Carolina. Jamilah currently teaches American History at North Edgecombe High School in Tarboro, North Carolina. She served as the social studies department chair and currently serves on the School Improvement, Innovation Scheduling, and Opportunity Culture teams. Additionally, Jamilah has served as a Servant Leader Intern for the Children’s Defense Fund Freedom School program at the Peacemakers of Rocky Mount site in Rocky Mount, North Carolina. During her Principal Residency year, she was at North Edgecombe High School. Jamilah is now serving as Coordinator of the North Phillips School of Innovation, specifically for 8th and 9th grades. 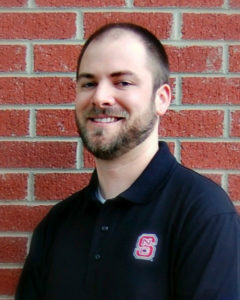 Christopher earned his undergraduate degree in history education from Campbell University. He served as a social studies teacher, baseball coach, and Power Lunch Coordinator for Bunn High School. Christopher has served as a member of the School Improvement Team, Leadership Team, and co-founder of Rho Kappa at Bunn High School. He was a 2016 Bright Ideas Grant recipient. He has led the Bunn High School baseball team to five consecutive Northern Carolina Conference Championships and is a three time NCC Coach of the Year. He completed his Principal Residency at Louisburg High School. He continues to serve at Louisburg High School this year, where he has moved into the role of Assistant Principal. Hunter Dansby earned an undergraduate degree in Finance and Business with Honors from Texas A&M University in College Station, Texas. 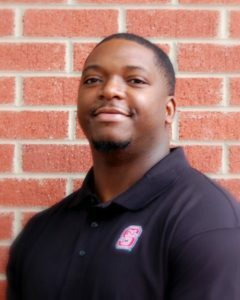 He taught in Duplin County at James Kenan High School, served as the Mathematics Department Chair and School Improvement Team representative, and is a Teach For America Corps Member. He taught Math 1 and was the creator and instructor of the school’s first formal ACT prep program for juniors. He was James Kenan High School’s Beginning Teacher of the Year for the 2015-2016 school year and was also the Junior Varsity Boys Basketball Head Coach. He was a Principal Resident at Warsaw Elementary School during the 2017-2018 school year. Hunter is remaining at Warsaw Elementary during the 2018 to 2019 school year where he is now serving as Assistant Principal. Brittany earned a degree in Middle Grades Education with concentrations in Mathematics and Science from East Carolina University in 2013. Brittany has participated in the Meredith Math and Science Institute, eLearning training, Science curriculum development, and professional development highlighting student achievement and growth. She was recognized as the Springfield Middle School Teacher of the Year. Brittany taught eighth grade science and Math I at Springfield Middle School in Wilson. During the 2017-2018 school year, she was a Principal Resident at Wells Elementary School. Upon graduating from the NCLA program, Brittany became Assistant Principal at Wells Elementary School, where she remained through December 2018. She has been serving Assistant Principal at Jones Elementary School since January 2019. 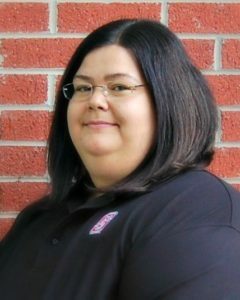 Cassandra Haddock earned a Bachelor of Science in Elementary Education at East Carolina University; she is also licensed as a Reading Specialist for grades K-12. She was recognized as Teacher of the Year in 2015. She served as SIT team chair, grade chair, STEM chair, PBIS team member, and Beginning Teacher mentor. She is currently working towards becoming a Global Educator through VIF training. Cassandra taught 5th grade Science. One of her favorite quotes from Dr. King is “The function of education is to teach one to think intensively and to think critically. Intelligence plus character-that is the goal of true education.” She served as Principal Resident at Martin Millennium Academy. 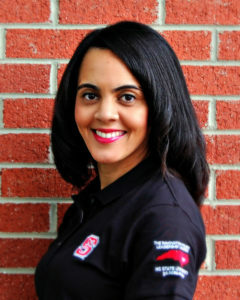 Cassandra is remaining at Martin Millennium during the 2018 to 2019 school year, where she is now serving as Assistant Principal. Becky earned a Bachelor of Science degree from North Carolina State University in agricultural business and agricultural and extension education with a communications concentration. She was a lateral entry teacher and has taught middle grades science and agricultural education. In addition to her teaching duties, Becky served as the school’s STEM Coordinator, FFA Advisor, School Improvement Team member and Science Olympiad Coach. 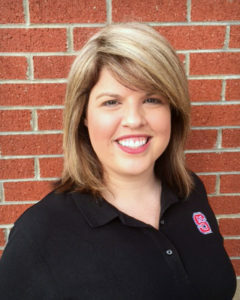 Becky had an active role in district level activities as the STEM Summer Camp Director and North Carolina Science Olympiad Elementary Division Regional Director. 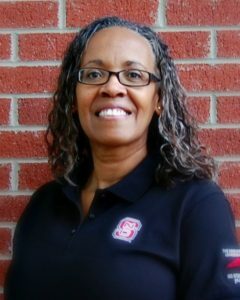 Her love for agriculture extends beyond the classroom; She served as a curriculum specialist for the North Carolina Farm Bureau Ag in the Classroom program. Becky taught middle grades agricultural education at Contentnea-Savannah K-8 School in Kinston. During her Principal Residency year, she was at LaGrange Elementary School. This school year, Becky is serving as Assistant Principal and is splitting her time between Roseboro Elementary School and at Salemburg Elementary School in Sampson County. Emily earned an undergraduate degree in Music Education from Meredith College and a Master’s degree in Church Music from Southeastern Baptist Theological Seminary. She was recognized as Teacher of the Year in 2014. She coordinated the Wilson All-County Middle School Chorus. Emily taught Chorus and General Music at Springfield Middle School in Wilson County. She served as the Leadership Team Chair, School Improvement Team Chair, and MTSS Team Chair. Her students consistently participated in the NC Honors and All-State Choruses and received Superior ratings at the NC Music Performance Adjudication. She completed the NCLA Principal Residency at Speight Middle School. Emily is remaining at Speight Middle during the 2018 to 2019 school year, where she is serving as Assistant Principal. 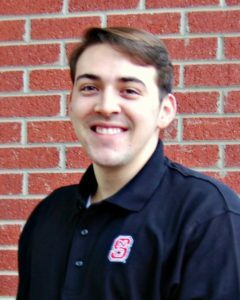 Tyler earned his degree in history education from North Carolina State University. 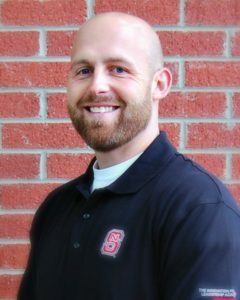 He was recognized as his school’s teacher of the year in 2014. He served on his school’s leadership and data teams. He was also a member of his district’s EmpowerED team, which focuses on ways to improve digital learning in the classroom. Additionally, Tyler was the social studies chairperson at his school. Tyler taught AP World History and Civics & Economics at Bunn High School before becoming a NCLA Fellow. He completed his principal residency at Bunn High School in fall 2017 and at Bunn Middle School in Spring 2018. Tyler is currently serving as an Assistant Principal at Bunn High School. Keith graduated from Kinston High School in 2002, and then attended North Carolina State University. After he earned his undergraduate degree, he began his teaching career at Rochelle Middle School. Keith taught middle school from 2008-2012. He also taught history at Kinston High School. Keith believes that being a teacher is so much more than teaching content or getting great scores on standardized tests; it is building positive relationships to help students exceed their expectations. He completed his NCLA Principal Residency at Northeast Elementary School. Keith is now serving as Assistant Principal at JH Rose High School. 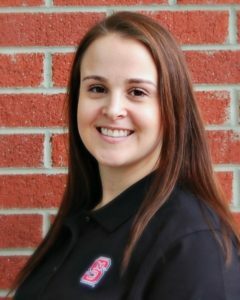 Jessica earned an undergraduate degree in Elementary Education, as a North Carolina Teaching Fellow, from the University of North Carolina at Greensboro. 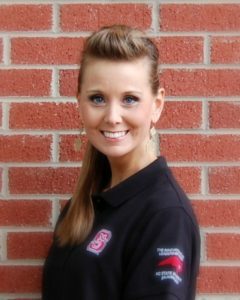 Jessica has taught in both elementary and middle school settings in the twin counties (Edgecombe and Nash Counties). After years of bringing excitement into the classroom by incorporating technology and cultivating a love for learning, she was awarded Teacher of the Year in 2016. She was an active member of the School Improvement Team, the AMPLIFY ECPS Technology Innovation Team, and the Opportunity Culture School Design Team for her district. Jessica served as an Instructional Coach at Coker-Wimberly Elementary School in Battleboro North Carolina. She completed the NCLA Principal Residency at Coker-Wimberly Elementary. Jessica is currently serving as an Assistant Principal, splitting her time between two schools: Phillips Middle School and Martin Millennium Academy. Wendy earned an undergraduate degree in Child Development with an add-on K-6 license from Meredith College. She participated in Project LEAP at East Carolina University, where she earned a Master’s Degree in Elementary Education with an add-on license in English to Speakers of Other Languages. She has been recognized twice as Teacher of the Year. She actively served as second Vice President for the Sigma Chapter of Delta Kappa Gamma. She had 17 years of teaching experience before beginning the NCLA program. Upon starting the program, Wendy was the ELA Curriculum Specialist for Southeast Elementary School. She completed her Principal Residency at Banks Elementary School. Wendy is now serving as Curriculum Facilitator at Southeast Elementary School. 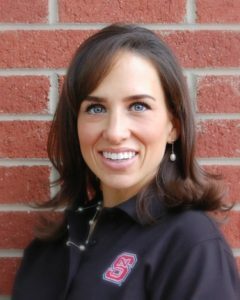 Rebecca earned a Bachelor of Arts degree in Communication from North Carolina State University and a Master of Science degree in Counselor Education from East Carolina University. She began her career as a 7th grade math teacher at West Edgecombe Middle School. Rebecca has worked as a counselor in Edgecombe County for 7 years and counseled students at SouthWest Edgecombe High School before joining the NCLA cohort. Rebecca served as the lead high school counselor for Edgecombe County. She has been serving as Assistant Principal at Tarboro High School since August 2017. 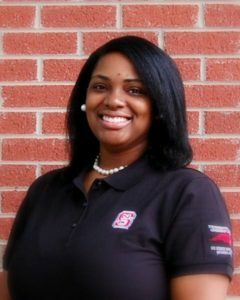 LaToyha earned an undergraduate degree in Elementary Education from Winston-Salem State University and a Master of Arts degree in Reading Education (K-12) from East Carolina University. She was recognized as Teacher of the Year for the 2013-2014 school year and named Lenoir County’s Top 3 Teacher of the Year finalist. She has received training as a Master Literacy Trainer by NCDPI and has had the privilege of presenting at Learning Forward’s National Teaching Conference. Her daily intent, as an educator, is to make an IMPACT. LaToyha served as the K-2 literacy coach at Northeast Elementary School in Lenoir County. During her Principal Residency year, she was at Rochelle Middle School. LaToyha is currently serving as Assistant Principal at Vinson-Bynum Elementary School. 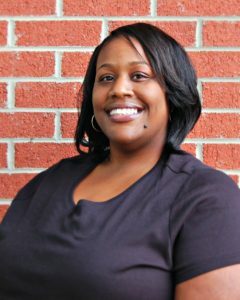 Keisha earned a Bachelor of Science degree in Elementary Education from East Carolina University. She was recognized as Northeast Elementary’s 2015-2016 Teacher of the Year and WITN Channel 7’s “Teacher of the Week”. She served as a Beginning Teacher Mentor and a panel speaker for the North Carolina New Teacher Support. Keisha taught third grade and is grade chair at Northeast Elementary School. She was a Principal Resident at Kinston High School during the 2017-2018 school year. This year, she is serving as a Digital Learning Specialist at Kinston High School. Rommy earned her Bachelor of Arts degree and certification of Spanish translation from San Diego State University. 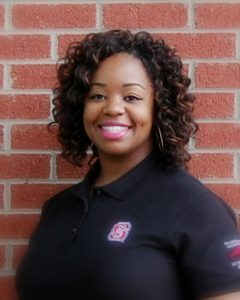 She taught in the private school sector and received her North Carolina teaching certification from North Carolina Central University. She taught Spanish at Franklinton High school where she was the Foreign Language Department chair, a member of the staff development team and a member of the School Leadership Team. She was a Principal Resident at Franklinton Elementary School. During the 2018-2019 school year, Rommy is serving as Assistant Principal at Louisburg High School. 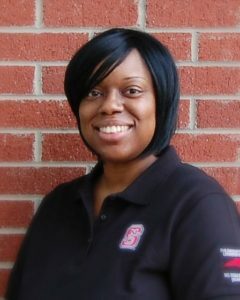 Rashida earned a Master of Education in Training and Development from NC State University. She also earned a Master of Arts in Teaching elementary education from East Carolina University. 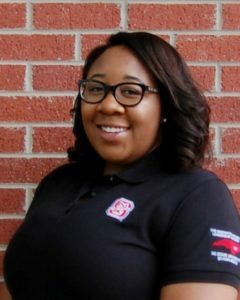 Rashida was an active participant in her grade level PLT, hosted a senior intern from East Carolina University in her classroom, was a 2016-17 SIOP (Sheltered Instruction Observation Protocol) participant, a member of the PBIS committee and a member of the science committee at school. Rashida took part in updating science and math curriculum maps for the 2016-2017 school year. Before joining NCLA, Rashida taught math and science to fourth grade transition students at Greene County Intermediate School. She was a Principal Resident at West Greene Elementary during the 2017-2018 school year. Rashida is currently serving as Assistant Principal at Benson Middle School.